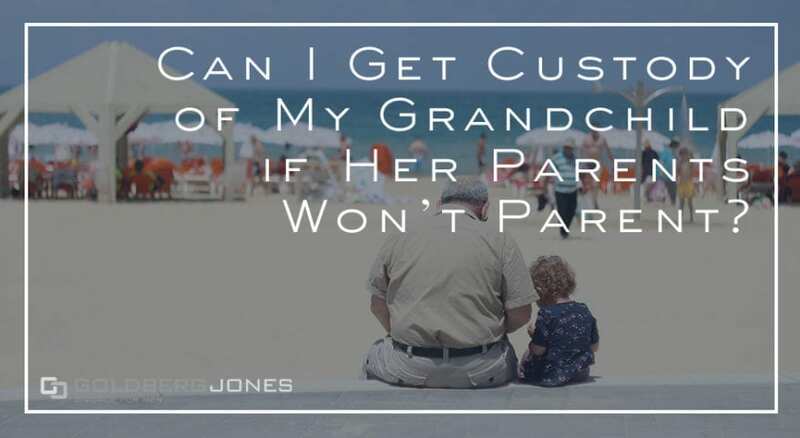 "Can I get custody of my grandchild if her parents won't parent?" Can grandparents step in and vie for custody? One of our founding partners, Rick Jones, regularly appears on the Danny Bonaduce and Sarah Morning Show, where he answers family law questions from listeners. One recent caller worries about his teenage granddaughter since the parents aren’t in a place to care for her. He wants to know if he can get custody. As usual with legal matters, the answer is complicated. And, unfortunately for him, he faces an uphill battle. I’m a Grandfather of a 14-year-old granddaughter, and mom and dad are not really capable right now to take care of her. How do I file for a third party custody? Sarah: “This question has been coming up a lot. I’ve read a couple reports that we’ve got such a problem with drugs, that a lot of this is coming on to the grandparents now. I’m sure a lot of people listening have this same question. Rick: “And it’s a frustrating one to hear on our end. I’ve been privy to instances [where] the person in your role, the grandparent that’s trying to do right. But I’ve also seen some very frustrating outcomes in the court system as well. “One way is to get the state involved in the form of what’s called a dependency action. That’s really when there’s CPS involvement, so there’s concern about mistreatment. And with CPS’s involvement, what they do is they come in, and if they have a finding that it’s an unsafe circumstance, then what they do is place the child. “And certainly placing the child with a biological grandparent is really high on the preference. That’s one way to go about it, but it hasn’t really vested you with anything in permanent rights. “In terms of filing a third party action, yes it is something you can do. However, expect that there may be push back by either the daughter or the son in terms of competing for that, and the way court systems are coming down on this, IF and WHEN a biological parent can get their act together at all, then they are really going to prevail. Related Reading: We Never Married, Do I Still Have Parental Rights?